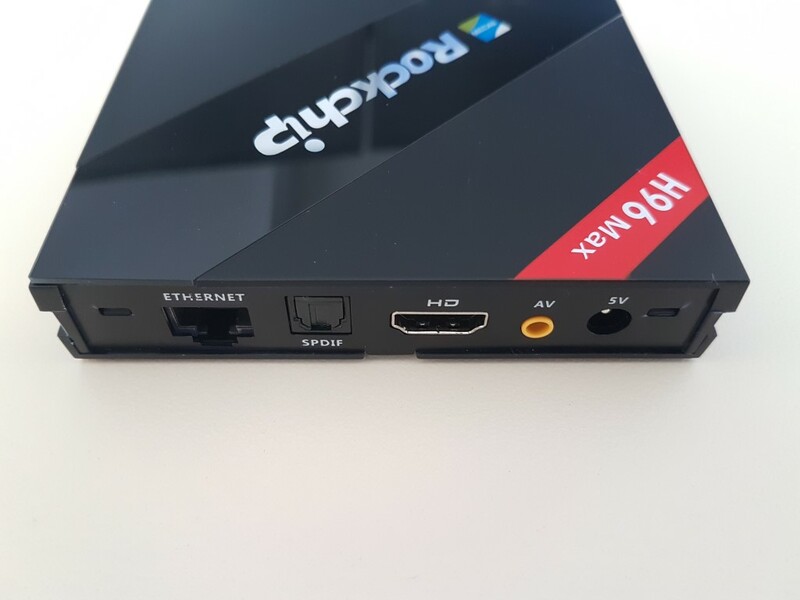 Another Rockchip RK3399 based media box arrived for a review. The H96 MAX (2GB RAM edition) is similarly equipped with the Yundoo Y8 we tested recently. We recall great performance that was reflected by the fast user interface response and great performance in games and media decoding. Let’s see how this one performs. H96 MAX shares the same packaging style with H96 Pro+ reviewed here. It provides very good protection to the media box and its peripherals (HDMI cable, power adapter and the remote). The combination of black and gold provides a semi-luxury look. 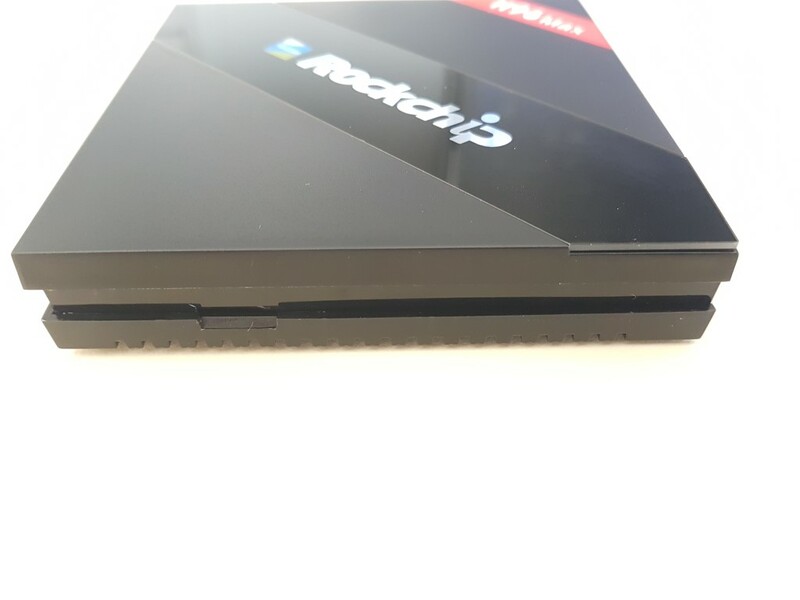 The powerful hexa-core RK3399 SoC from Rockchip with 2 x ARM Cortex A72 cores (that indeed go up to 2.0GHz) and 4 x ARM Cortex A53 cores (up to 1.44GHz) accompanied by the new Mali-T860 GPU offer upgraded performance compared to previous generations. Our version came with 2GB of RAM and 16 GB of ROM while a beefier one exists with 4GB of RAM and 32GB of ROM, just like the Yundoo Y8 model. 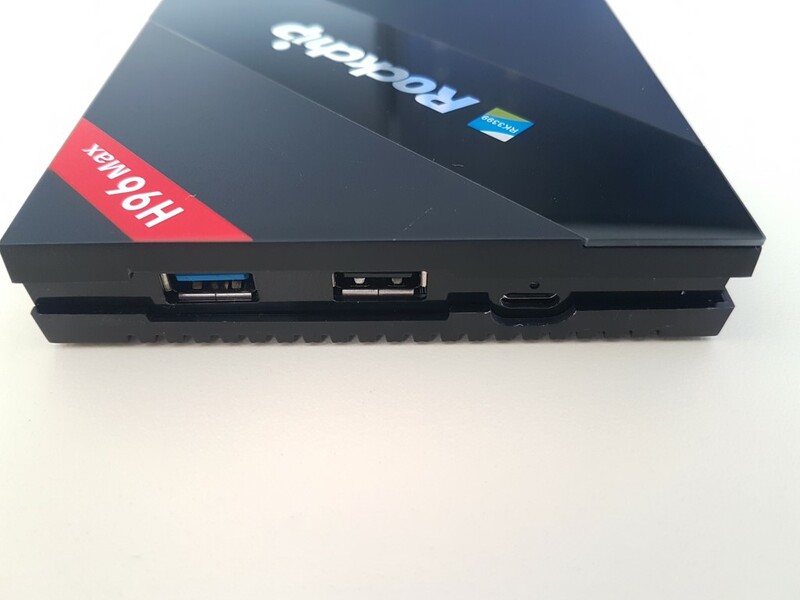 Connectivity remains stellar with 1x USB 2.0 port, 1x USB 3.0 port, 1x USB type C (video and data support), 1x HDMI 2.0a, 1x S/PDIF and an SD card slot. Networking is just as good with wired Gigabit Ethernet, Dual band 802.11ac Wi-Fi and BT 4.0. 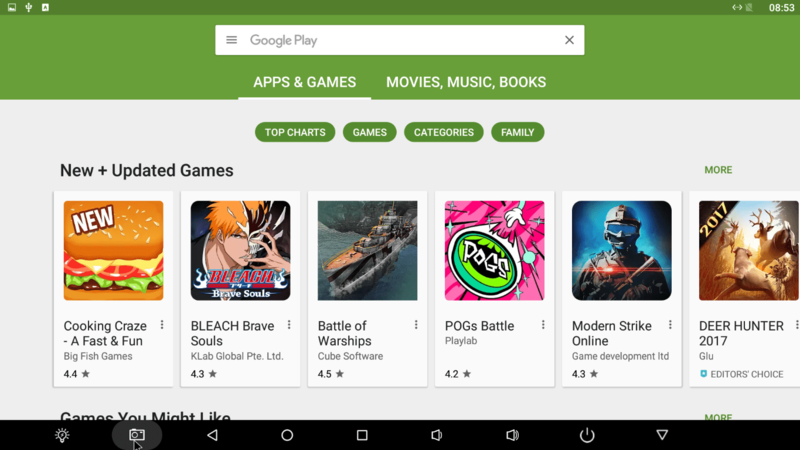 Android 6.0 is once more the selected operating system. H96MAX has practically the same housing of the H96 Pro+. The only difference is the logo in the middle that now has the Rockchip brand instead of Alfawise. It is still made of plastic and the design is simple enough for you to put it anywhere you want. Air grilles exist at the bottom for heat dissipation. During our tests it got quite warm but we did not experience shut downs/restarts/freezes. The remote is nice and simple. Relatively small with nice grip, which is rare for those that include numeric keys. After a short boot the main menu appears which is once again exactly the same as the one we found in H96 Pro+ model. 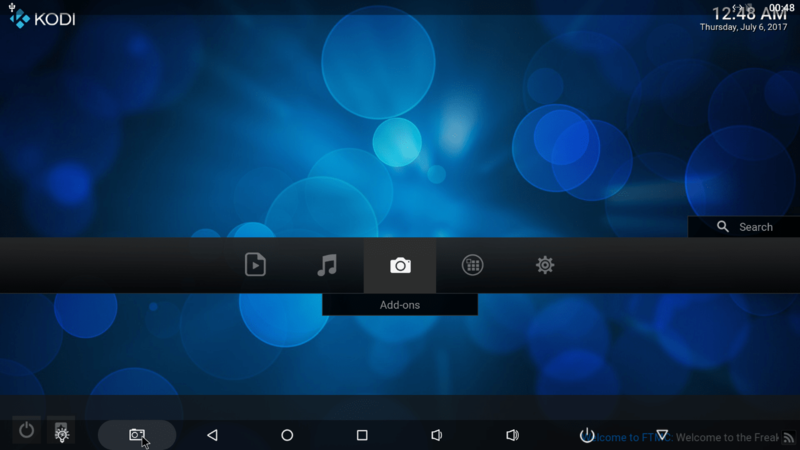 It is media player oriented with colorful big icons. The basic theme is in blue. There you will find shortcuts for all major apps like KODI, Browser, Music, Play Store, You-Tube and Netflix among others. You are of course able to add your own shortcuts at the bottom. You will configure your media box in no time according to your setup. There are OTA options but we didn’t receive one during our tests. There is an update that you can only perform manually with the assistance of a PC. We suggest you install it since there were some minor lags with the initial version. 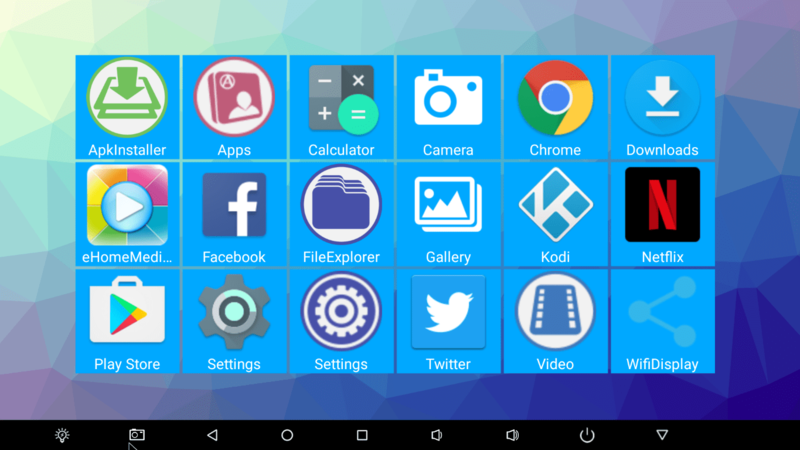 A custom ROM also exists and you can find it here (at your own risk!). We will make it easy for you. The H96MAX has the power to decode any video file with ease. 4K file playback is smooth and the same applies for high bit-rate BLU-RAY backups as well. The multichannel limitation we found at Yundoo Y8 applies here as well since stereo out is the only way to go. Down mixing works well though. 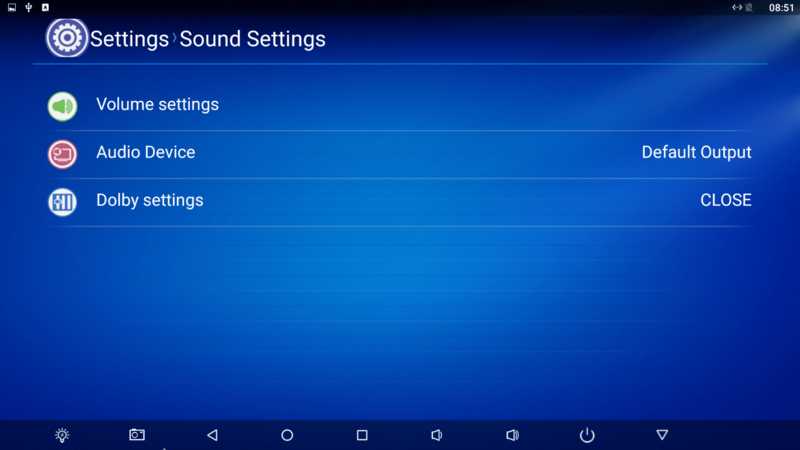 Note that we could get sound from multichannel sources only from FTMC (fork of KODI for Rockchip based media boxes). 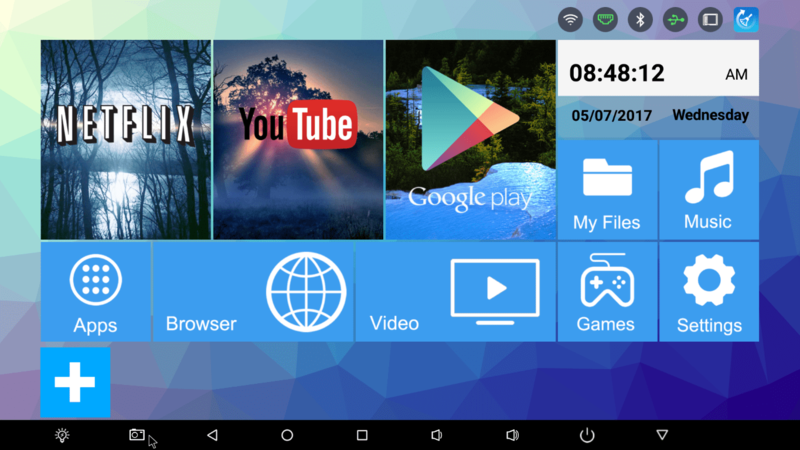 So it is better to uninstall the pre-installed KODI and install this instead to avoid any conflicts. 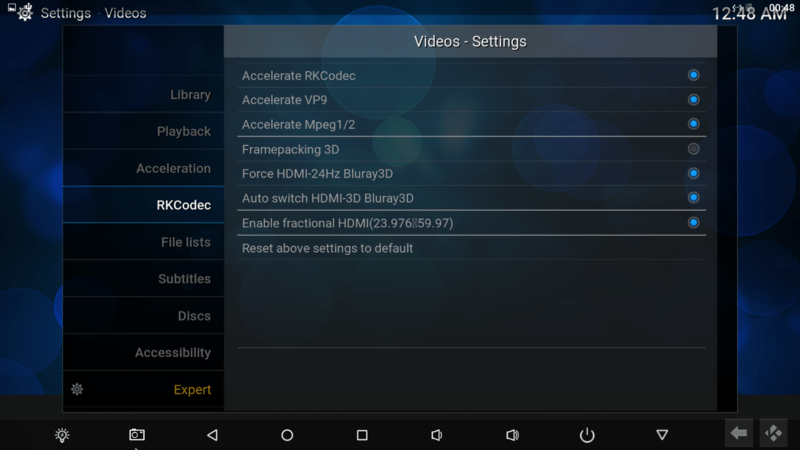 As expected, playback of all popular audio files (mp3/FLAC) was an easy task for the hexa-core processor. Wi-Fi performance made low bitrate 1080p file playback possible. Make sure you have good signal from your access point. 720p tv series streaming was very good. Wired LAN performance was great with effortless playback of BLU-RAY backup files. High bit-rate 4K file playback was better when stored in a USB3.0 drive. 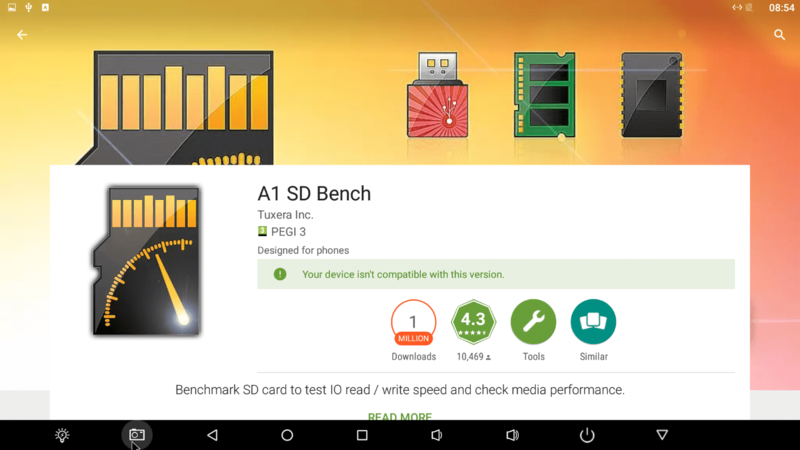 A1 SD benchmark was not compatible from Play Store so we measured manually USB3.0 write speeds ~ 30Mb/sec which is not bad at all. 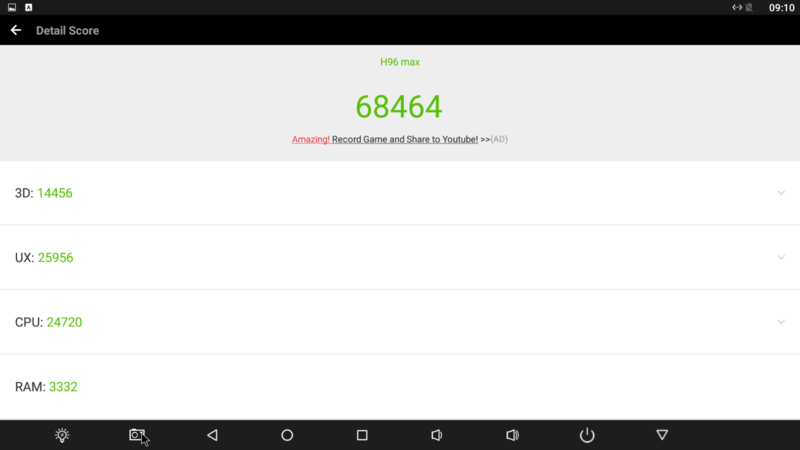 Antutu benchmark showed top performance with 68000 points (with great 3D GPU score). Gaming performance was also amazing even with demanding 3D games. If you are a gamer, chances are you will never experience major lags. 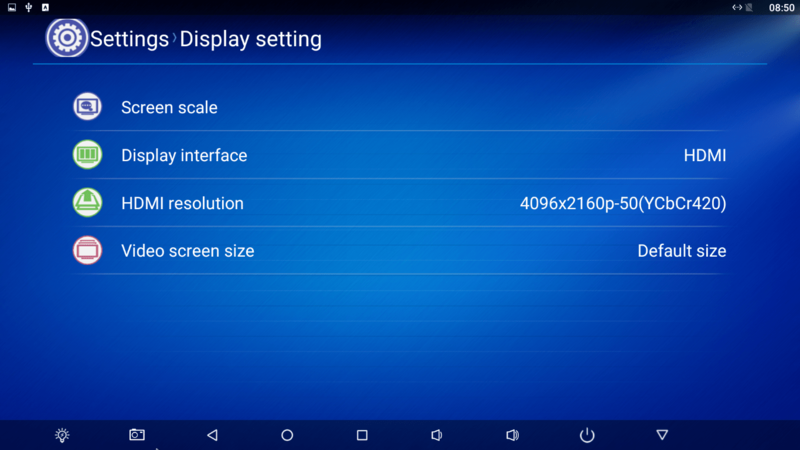 Rockchip RK3399 has the best gaming performance we have seen after NVidia Shield. The 2GB of RAM eventually did not hold back the overall performance. After this review, a Nougat update was provided that enhanced performance and stability. You are strongly advised to install it (only manually). 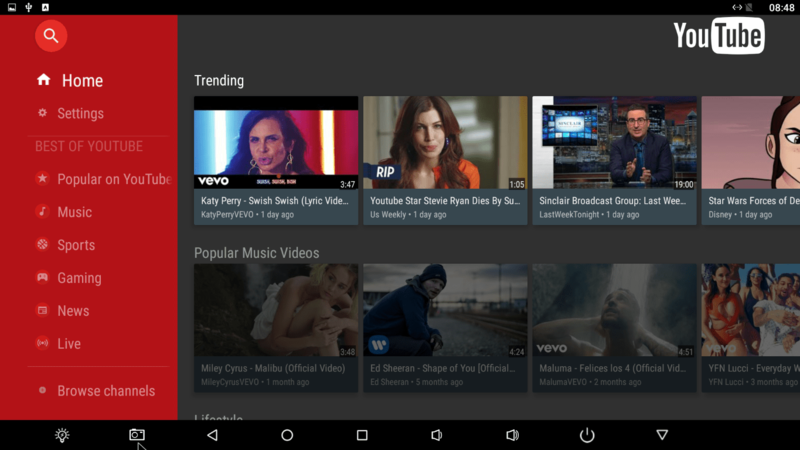 Android 6.0 is still the most popular operating system found in media boxes and this one is no different. Remember to install the new ROM (only manually) to get the best possible performance. H96MAX is a worthy successor to the H96 Pro+ model. The raw processing power is top notch and probably second only to NVidia Shield (with twice the price). Price appears to be very reasonable too, since it costs less than 90€. The 4GB RAM version costs ~15€ more and has 32GB of ROM as well. Could be considered as a better option depending on your needs. If you want top all-around performance, then the H96 MAX is an option you must consider.